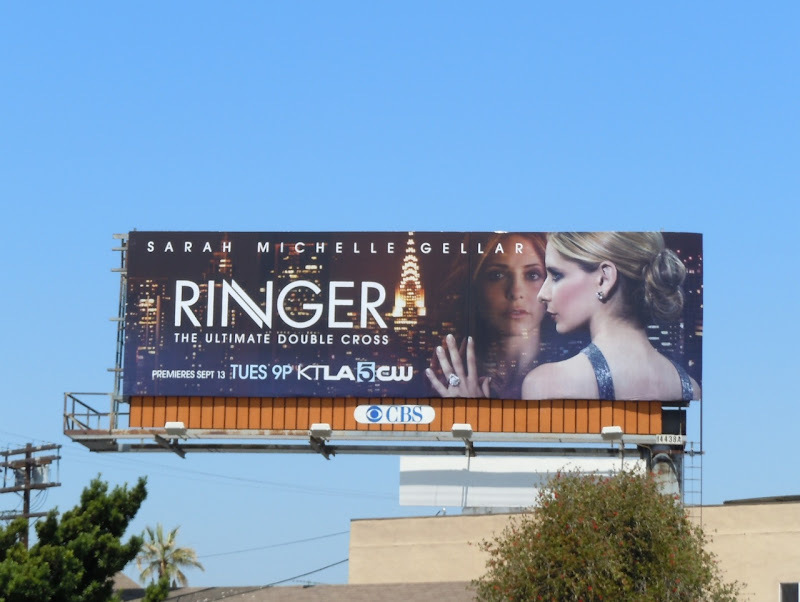 Buffy fans rejoice, Sarah Michelle Gellar is returning to episodic TV land for the new series Ringer. 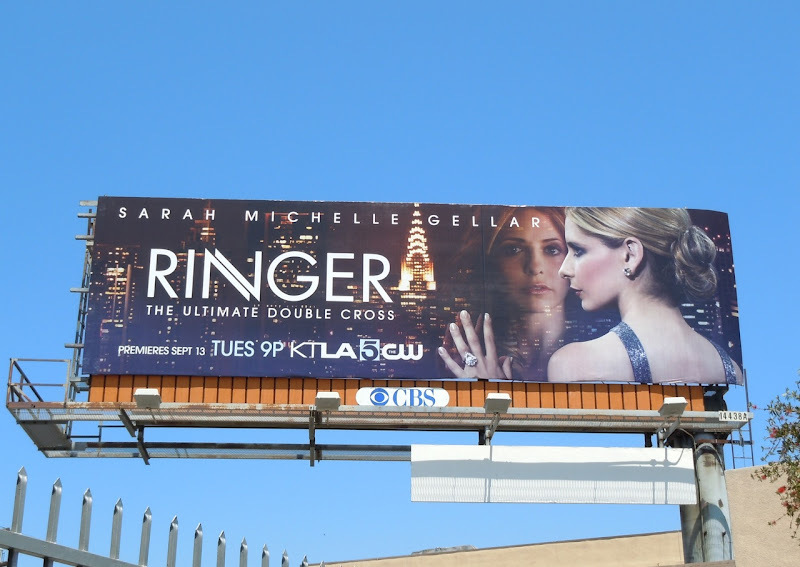 This time she plays twin sisters and there's not a vampire in sight. 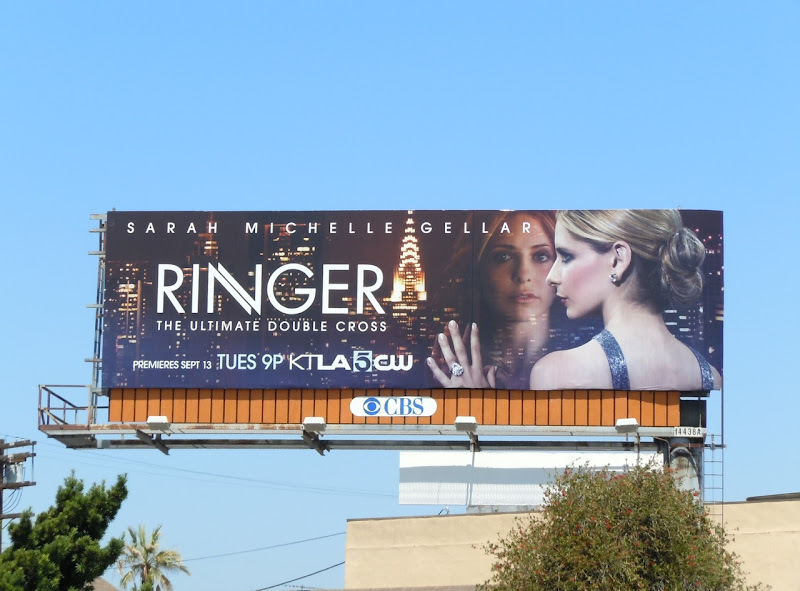 This cool billboard for the new show was snapped along La Cienega Boulevard on August 7, 2011. 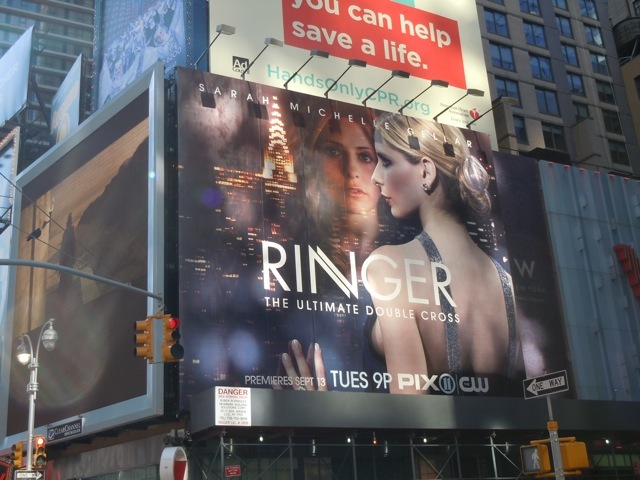 UPDATED: Daily Billboard captured this other billboard for Ringer in New York's Times Square on November 6, 2011.